We love Victoria Beckham. We loved her when she was a Spice Girl, but we love her more now that she’s a full-fledged designer. We love her beautiful clothes, shoes, eyewear, accessories and makeup. We can go on and on. When we found out that Victoria was starting to do Instagram live videos, we thanked the Lord for technology. The 43-year-old English businesswoman, fashion designer, model, and singer was spotted exiting her Dover Street store in London after doing an Instagram tour that gave us 20-plus minutes of pure bliss. Victoria Beckham seen leaving her Dover Street store in London on September 22, 2017. Victoria wears Victoria Beckham from head-to-toe. 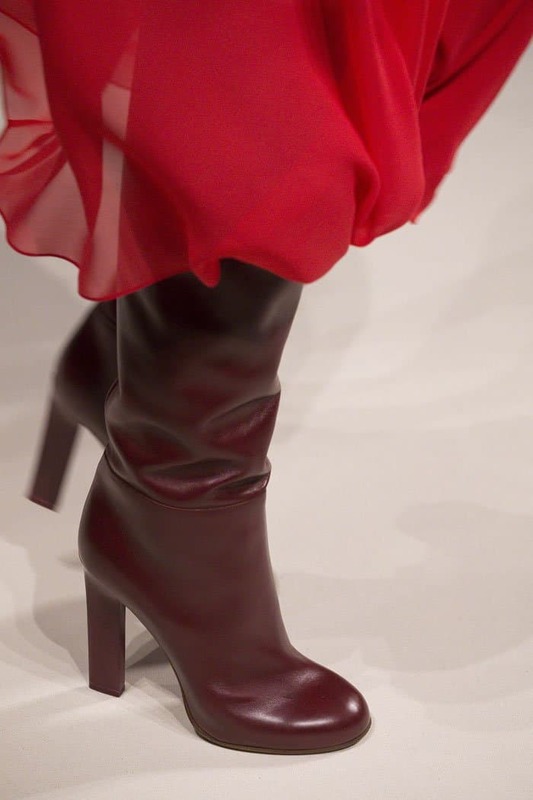 Victoria wears the heel boot from her latest collection. Being her greatest (and only) brand ambassador, it was pretty much a given that Victoria would be clad in her designs. The former pop star gave us a treat by styling her own pieces from the current collection. Victoria wore a pale blue sheer top that she paired with a black ruffled skirt. Contrary to her all-black everything Spice Girl days, it seems as though Victoria has learned to love color. The designer inserted a pop of bordeaux red into her look through a vanity cross body bag and a pair of heeled boots. The former pop star contrasts her ruffled skirt with a structured vanity cross body bag in bordeaux red. Victoria exits her Dover Street after doing an Instagram live video. Victoria said every collection is about a fresh take on colors. The designer revealed that she loved it when there was a bit of peculiarity about her color choices, but not so much that it no longer made sense. Genius. The Dover Street store carries both her main and pre-collections. Victoria’s highly sought-after makeup line occupies its own counter, and you can even request for a free makeover from her client services. Victoria revealed that even she had to order her own items the same way as everyone. 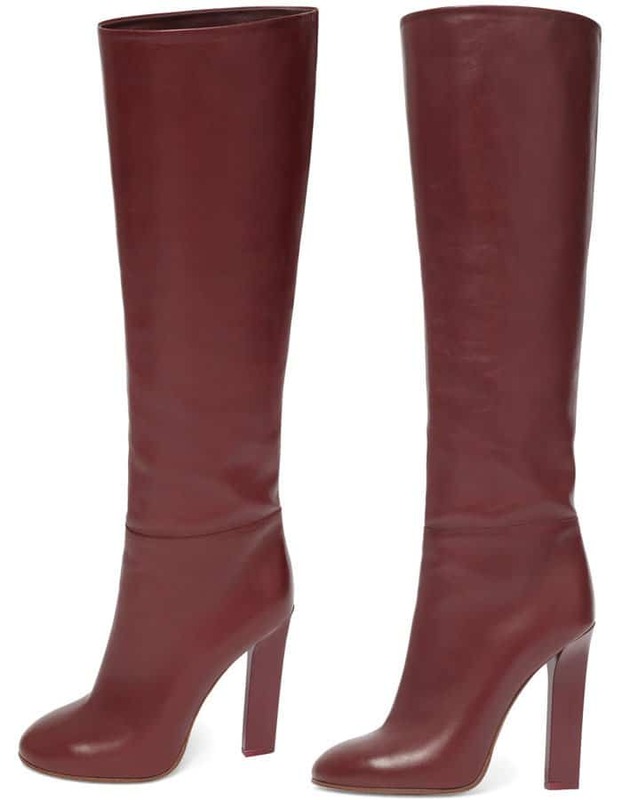 Shop Victoria’s heeled boots in bordeaux red at Net-A-Porter.